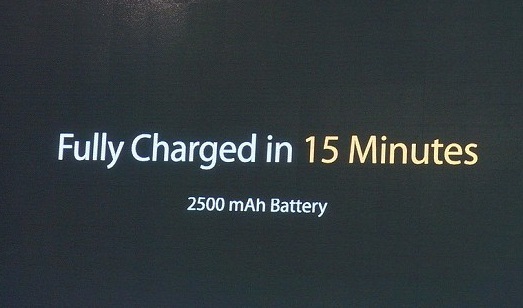 OPPO: Fully Recharge your Phone from 0% to 100% in 15 Minutes. Here's How! Another interesting announcement at the MWC 2016 which took place in Barcelona is the Super VOOC charging which was announced by OPPO. Though, at the moment, there is no product for Oppo to utilize this new technology but will be utilized by their upcoming Smartphones. To cut a long story short, The Super VOOC is capable of fully recharging a 2,500 mAh battery in just 15 minutes. It can also achieve about 45% of charge in 5 minutes. Shocked? How Possible? This is how! The new VOOC charging works over both microUSB and USB Type-C ports and requires the new Super VOOC Flash Charger plug, a new special cable, and a connector made from high-quality military-grade materials. Oppo will be adding support for Super VOOC in its upcoming smartphones, once the technology is ready for mass production. 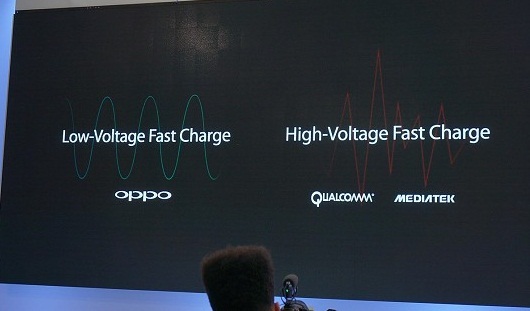 Finally, you should know that if you decide to use a competitor's fast charger with an Oppo smartphone capable of Super VOOC, it will revert to regular slow charging "due to the temperature spikes caused by quick charging and screen brightening simultaneously." The Super VOOC is still experimental technology, but the company hopes to implement it in Oppo smartphones in the near future. What do you think about this new flash-charging technology from OPPO? Hot or Not? Drop your opinion, contributions and suggestions using the comment box below. Don't forget to share this post with others. Subscribe to our FREE email updates to get our latest tech articles directly into your mailbox. Cheers!! !